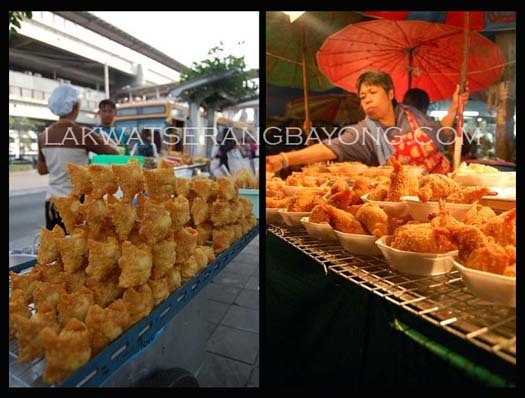 How we roll in the land of pad thais, tom yum kuun, chai yen, tuktuks and papaya pokpoks in 6 days. Suvarnabhumi Airport, the premier international airport of Thailand sits 30 km east of Bangkok city and serviced by all major international as well as domestic airlines. From the airport to the city, different transport options are available. You can take cabs or even limousines, just approach one of their respective counters stationed at the airport. You can also take an Airport Express Bus that operates hourly from 5 AM to midnight and plies these 4 routes - Suvarnabhumi- Silom Suvarnabhumi- Khao San Road , Suvarnabhumi-Sukhumvit and Suvarnabhumi- Victory Monument-Hua Lamphong (train station) for a flat transportation fee of 150 baht for any of the 4 destination. The cheapest way are the public buses and are available 24 hours, the terminal is located at the Transport Center. From the arrival area at the 2nd floor, hop on a shuttle bus to get to the terminal. Tuktuks can only go short distances. On the first day in a new place, it’s fine to just stroll aimlessly, sop up colors, textures, taste and scents, find the rhythm of the day, reunite and catch up on the lives of friends who now live here. We'll crank into tourist mode in the next days, making sure not to miss and enjoy the great places of interest. The city has many cultural landmarks and attractions, and even with the rapid economic boom apparent in its soaring skyscrapers and metropolitan society, the historic hundreds of wats (monastery temple) are left protected and untouched. Visit the GRAND PALACE, the official residence of the Kings of Thailand until the turn of the 20th century. The grounds also house the most revered Emerald Buddha. If there is one sight that you must not miss when in the land of pad thais and tuktuks, it is the spectacular Grand Palace - the city's most celebrated attraction. Directly adjacent to the Grand Palace lays Wat Pho or TEMPLE OF THE RECLINING BUDDHA. That magnificent golden Buddha in Leonardo Di Caprio’s movie The Beach, with mother of peals inlaid as the eyes and soles of the feet. A thousand more Buddha images can also be found inside the temple. From the Reclining Buddha proceed to the bank of Chao Praya River and hop on a khlong (long tail boat) with monks and locals to cross the Khmer styled temples named after the Indian God Aruna - Wat Arun or TEMPLE OF THE DAWN. Despite its name, this temple is best viewed at sunset between 6- 7 PM and in one of the cafes at the bank of Chao Praya across the temple. When you’re all templed out and tired from wandering, haggle a tuktuk ride to Khao Sarn road. Get yourself a table at one of the many street side vendors and sample some of the exotic and not so exotic fares with a cold bottle of a local beer while people watching. After dinner, head inside a spa advertising Thai massages and reward yourself with an authentic Thai foot massage. SIAM OCEAN WORLD is the largest aquarium in Southeast Asia and is conveniently located at the basement of Siam Paragon mall – one of the biggest luxurious malls in Asia. Ride a glass bottom boat where you can clearly see glorious species swimming below while you listen to the informative but entertaining lectures about different marine and aquatic life. You can also watch shark feeding and if this is not enough for you, diving with the sharks. After all the excitement, you can wind down by shopping within the luxurious complex. It has over 250 famed international and local luxury brands. TIP: Avail of the 5% discount when you apply for a Tourist Discount Card at the information desk at the ground floor area. 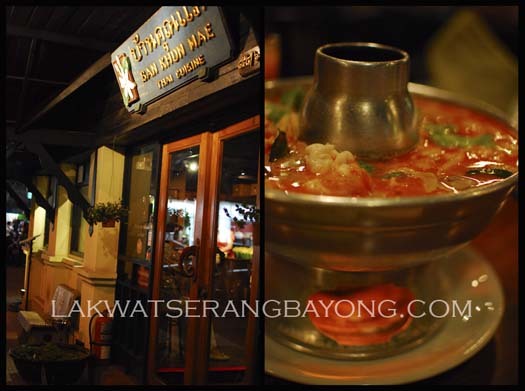 For dinner, you can walk to BAN KHUN MAE at Siam Square Soi 8 for an authentic Thai feast while being serenaded with live traditional Thai music. Time to explore the countryside and experience for yourself how the early Thai trade life was like with their floating markets. DAMNOEN SADUAK lies 101 km west of Bangkok and operates from early morning to noon. After grabbing bowls of tom yum goon and a plate of mango with sticky rice for lunch from one of the floating restaurant, head back to the direction of the city. Drop by another floating market with a more authentic feel as it is more populated with the locals at the AMPHAWA FLOATING MARKET in Samut Songkran province. Not far from there is the DESSERT MUSEUM that also warrants a visit and photo ops. WARNING: Do not enter on an empty stomach. Make your way back to the city and have an indulgent eat all you can Thai style shabu-shabu at a Mookatha for only about 150 baht (Php 210). 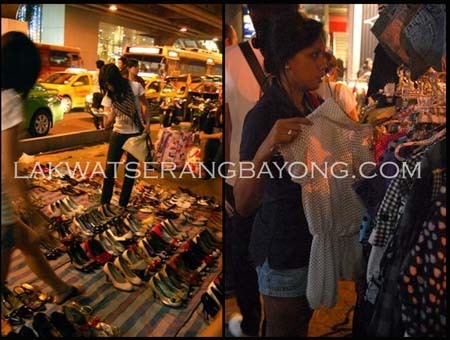 And down to some serious business – SHOPPING because Bangkok is akin to that of a huge mall where if you know where to look, you could find everything at the cheap and stalls designed to blow your baht away. Chatuchak is a weekend market composed of complex labyrinth of everything - from exotic souvenirs, to antiques, to clothes, to accessories to PETS. You name it, they have it. Not an easy market to tackle being it so huge so definitely not for the shopping wimps. Pratunam district on the other hand houses towering modern air-conditioned malls and buzzing street markets so more convenient. TIP: Buy wholesale (3 pieces and up) to get really HUGE price slash. We’re talking about 40-60% discounts. If you still feel short on shopping, don’t fret as Suvarnabhumi airport offers duty free shopping, from their One Town One Product (OTOP) to luxurious international brands. 50 dining options also dot the 25,000 square meter of the international airport. The departure tax is already included in the flight ticket so aside from your shopping and dining purchases, there’s no more expenses to incur.